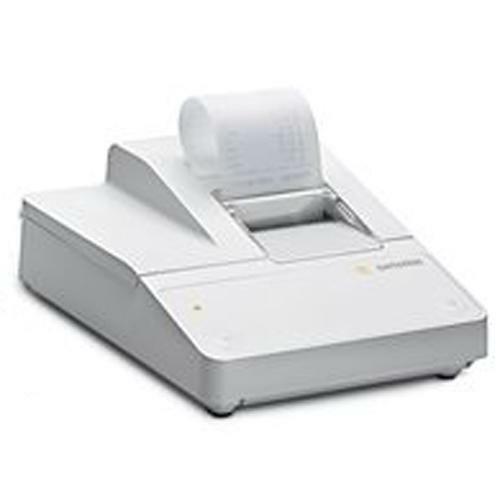 Model YDP 10-0CE is a data printer designed to receive weighing data from a connected weighing instrument and print it on plain paper (roll width: 57.5 mm). Text and data are printed with up to 24 characters per line. The data printer meets the quality standards for research in the chemical and pharmaceutical industries, in compliance with the requirements of GLP (Good Laboratory Practice) and GMP (Good Manufacturing Practice). The printer can be used for output of weighing data. Data is sent to the output port either automatically or at the press of a key. The printer can be used as auxiliary equipment with a weighing instrument that has been verified for use in legal metrology; see “Using the Printer in Legal Metrology” for more information. The data printer complies with the EC Directives and Standards for electrical equipment and electromagnetic compatibility. Use only rechargeable nickel-metal hydride, size AA (order no. 69Y03136). Avoid draining the batteries completely, as this will reduce their recharging capacity. Used batteries are hazardous waste and must be properly disposed of in accordance with your local hazardous waste disposal regulations. As a rule, the printer is powered over the data cable connected to the weighing instrument. Depending on your weighing instrument model, it may be necessary to use a different external power source. To do this, use only an original Sartorius AC adapter (see “Accessories”). If you have any difficulties, contact our Service Center or your Sartorius dealer. Use only a moist cloth to wipe down the printer to ensure that no liquid enters the printer housing during cleaning. Caution: The serrated edge for tearing off printouts is sharp; direct contact can result in injury.